Kathleen J. Shields from Huston TX began writing short stories for fun when she was twelve years old. With much support Kathleen began down the path towards becoming a writer. Kathleen was able to complete her first novel of a series during the summer of 2002. To keep her creative talents flowing she creates custom and personalized greeting cards for friends and family and with each card writes an original poem inside. While running her own graphics design company she continues to write and dreams to one day get the next book of the Kaitlyn Jones series published. 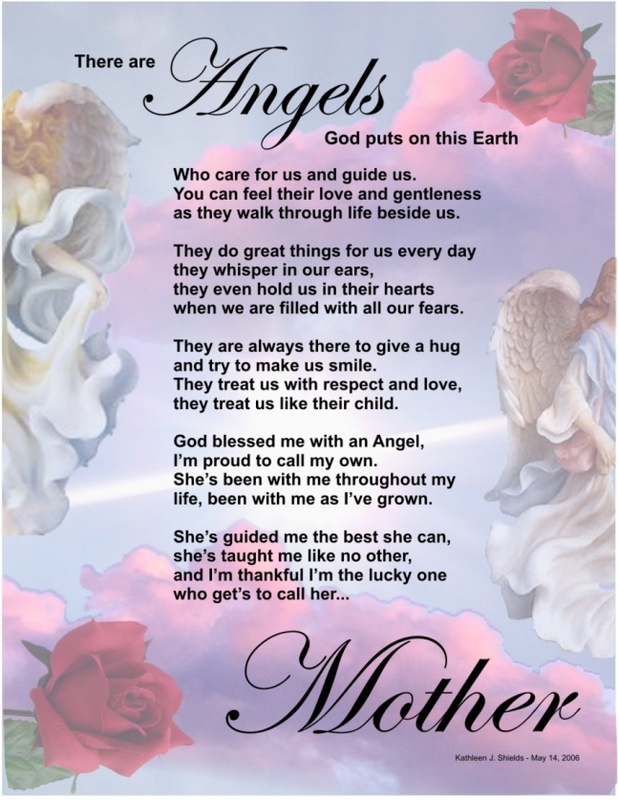 Here is a beautiful Mother's Day poem written by Kathleen.